Flagstaff, AZ : Northland Pub., c1996. A collector's guide to pottery of the Southwest, featuring information on the work of both ancient and modern artisans, as well as advice for evaluating and collecting pieces. 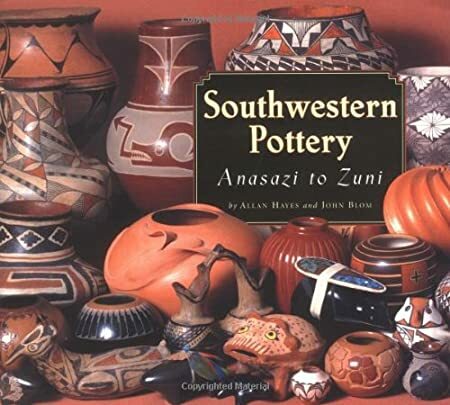 This is my favorite book on Native American Pottery. Often funny, always practical, a great book for the beginning collector as well as a good reference for the experienced trader. Tons of color pictures which always identify potter, pueblo and dates. Good index which includes all of the artists' names. It's organized by pueblo and for the more prolific communities, further breaks things down by period, style or family lines. Covers prehistoric pottery too. My only complaint is that it has no information on prices.